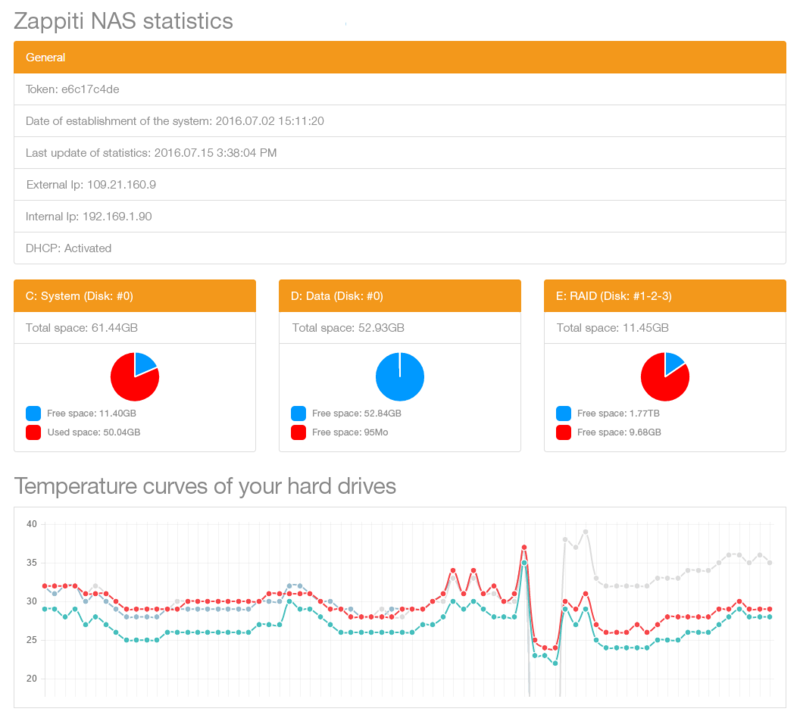 The Zappiti NAS Rip include embedded Krika Remote Server Monitoring technology. Centralized on the Cloud of Krika, this technology through a software agent installed on the Zappiti NAS, generates alerts, inventories hardware components and aggregates all health information of server, such as: the hard drive status, remaining capacity, internal heat, the connection speed LAN, etc. A dashboard of highly detailed information is intuitively displayed in the user interface of Zappiti Player 4K. 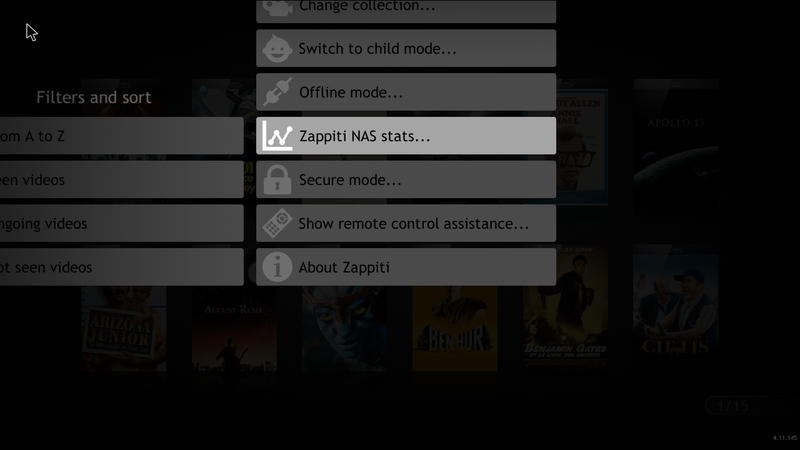 To display statistics of your Zappiti NAS in Zappiti ,press MENU button, then click on Zappiti NAS stats button. The statistics dashboard will be displayed. Please use DOWN button of your RC to scroll in the statistics window. Thanks to Krika, Zappiti is able to offer you an improved experience, by including professional grade remote and monitoring and management in your Zappiti NAS Rip.